Back in 2012 when I made my first foray to the Space Coast Birding and Wildlife Festival I put up back-to-back posts featuring up-close-and-personal shots of some of the cooperative birds I encountered. Considering that I am still recovering from driving back to New York from Florida after the blizzard that crushed the northeastern United States wreaked havoc with air travel, I thought that I would put up a similar post now, mostly because I don’t have to think as much to put up pictures that I already took as I do to actually write coherent sentences. Please forgive the brevity and enjoy the images! Every shot in this post was obtained using my Swarovski digiscoping rig, a pretty fun way to shoot wildlife! 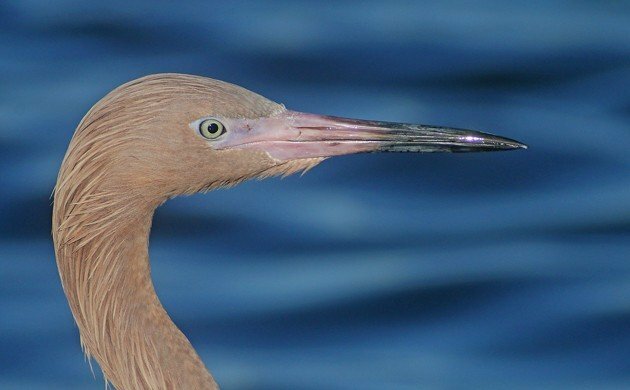 Each image except for the Reddish Egret up top has a larger version accessible by clicking on the image. Anhinga is a bird we don’t ever get to see in New York. Someday I would like to find one at Jamaica Bay. Look at that eye! This bird was lounging at the Viera Wetlands. The key to getting good images of vultures, like this Black Vulture, is to disguise yourself as a dead animal. This bird fell for my trick along Biolab Road, just west of the entrance road to Canavaral National Seashore. 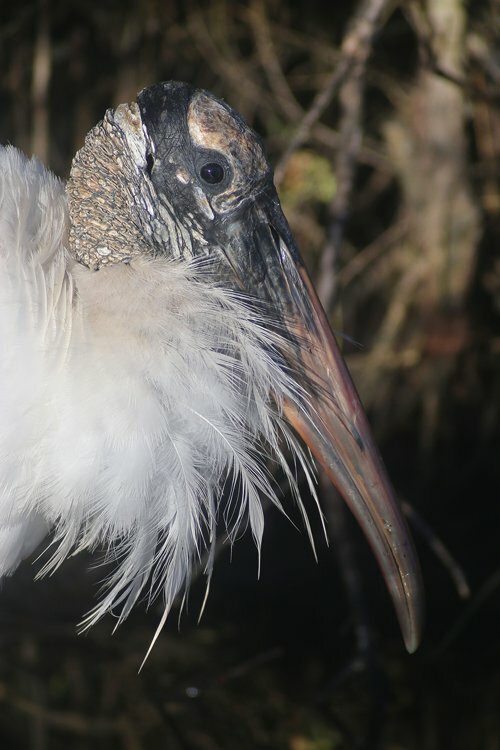 Wood Storks are disturbingly beautiful. Like a warty princess or something. There were lots at Merritt Island’s Black Point Loop this year. 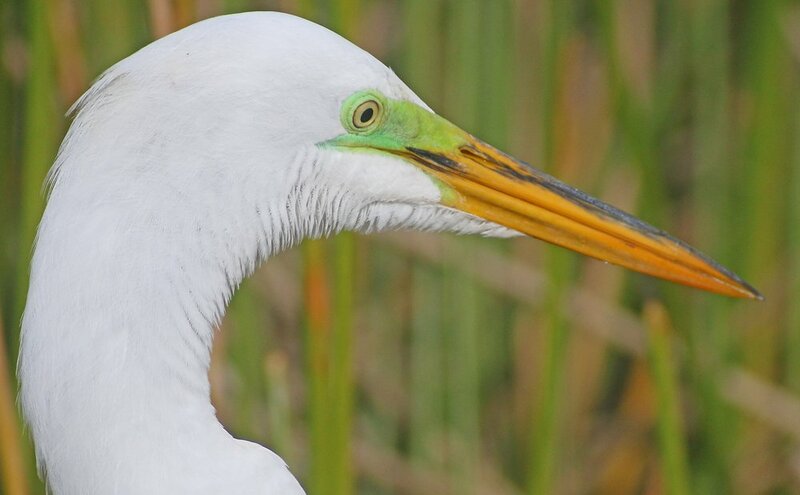 This isn’t the best picture of a Great Egret but I like that it already has green lores. Someone’s ready to get it on! 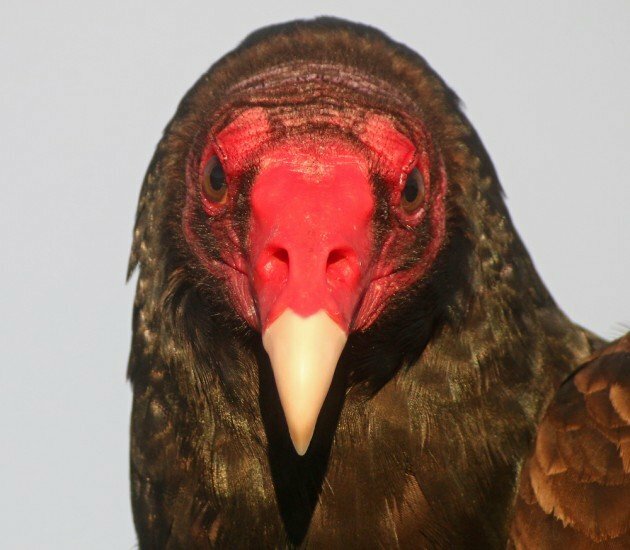 This Turkey Vulture was not happy to fall for the same trick that the Black Vulture fell for. 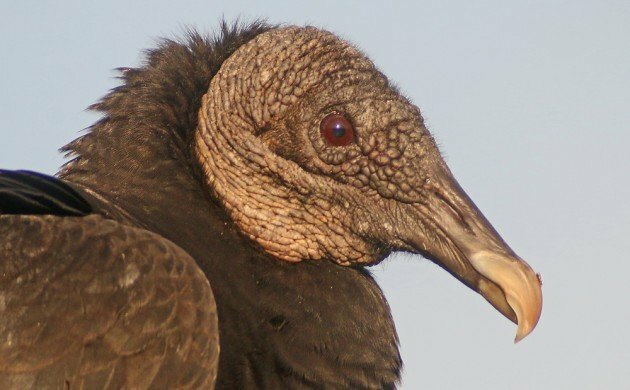 Angry vulture! It took me at least ten tries to finally get this shot. I’m just glad that this Roseate Spoonbill kept fishing in roughly the same spot until I could nail the fish in mid-toss! There were so many Roseate Spoonbills along Black Point this year that it was hard to count them. That’s a pretty good problem for a birder to have! Should I do like last year and follow up this post with another series of bird portraits? Or do you want something different? Let me know! 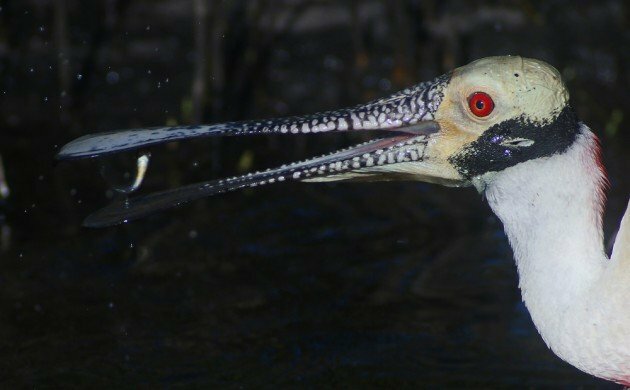 10,000 Birds is a Scrub Jay-level sponsor of the 19th Annual Space Coast Birding and Wildlife Festival. They are all amazing photos, and some with colors I didn’t know the birds had! My favorite is the Roseate Spoonbill will that red eye and speckled bill. I just thought they were pink! Sorry you had to drive back was wondering when you said you had confirmed reservations. But your Pics are just great!! Was nice to meet you. And please, as a follow-up post, no portraits but pictures of birds’ feet.